Turning the pages of interiors magazines, it is very easy to think that your house would be more beautiful or calming or cool (or whatever it is that floats your boat) if you just had that thing just there. As we all know that’s not really the case, I thought I might try to bring a fleck of the makeover magic to my house with no cost and a little effort. For my first attempt, I thought I’d be brave and tackle my kitchen. 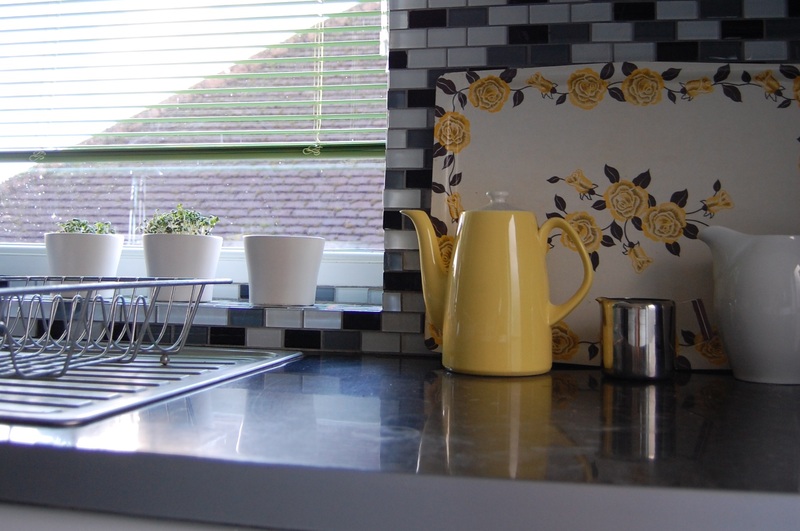 I don’t really like the kitchen – it was put in by the previous owners – but it’s not bad enough to change. So I wondered if a bit of changing things round would make me enjoy it more. The result is cheap and cheerful, I think. 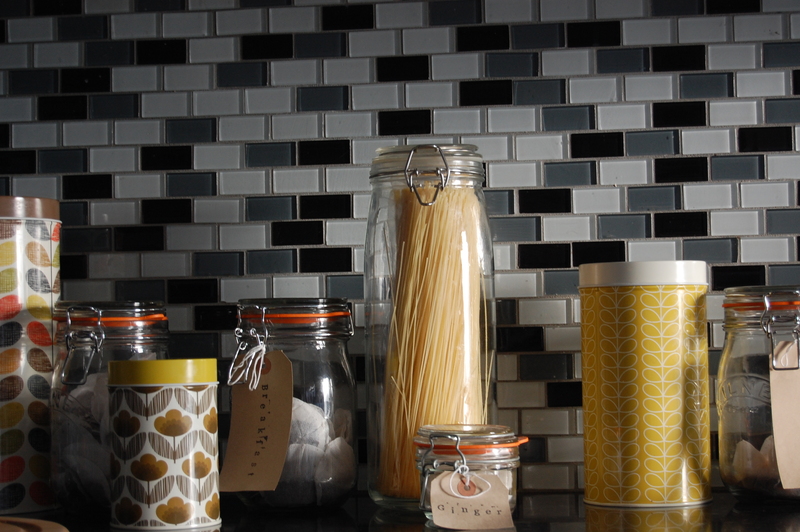 I love my random selection of storage jars and have dug out a few old treasures from the cupboards to enjoy again. N.B. As I sat down to write this, the builders next door put up a higher fence in our garden prompting me to send a text to my husband suggesting we may want to get on rightmove. Contentment is harder than it looks.